Ulcinj – “If we want to move forward a new approach to education, promoting skills and supporting creativity is a must, said Majlinda Bregu, Secretary General of the Regional Cooperation Council (RCC) addressing the participants of the 1st Forum “Science and Innovation 2030 for the Western Balkans”, organised by the Ministry of Science of Montenegro and Podgorica Club in Ulcinj today. 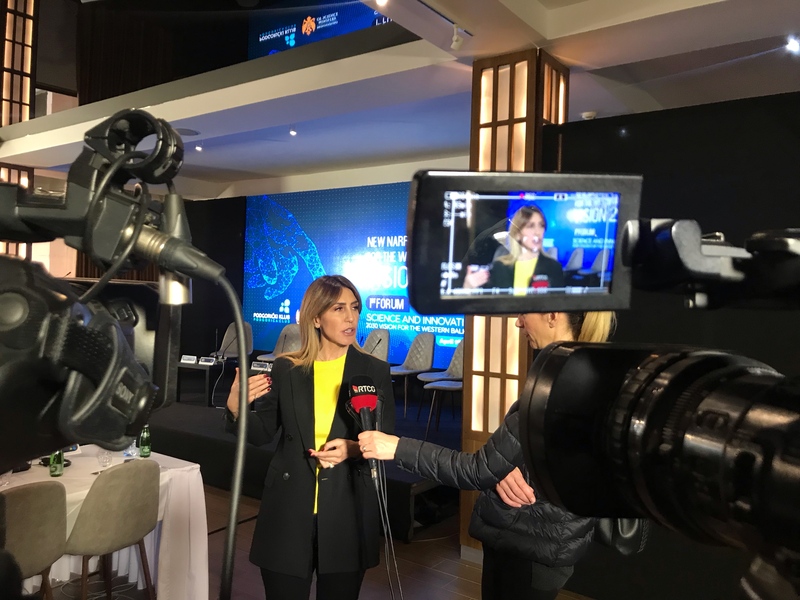 “The timing and the venue of this forum has a symbolic connotation, as Montenegro has changed the trend of underfunded research and innovation systems in the region, with the Government’s decision to approve a 60% increase of the domestic budget dedicated to science for 2018. The RCC hopes to see this trend spreading all over Western Balkans (WB) as investment in the research and innovation, sharing research infrastructural capacities and utilizing the research will serve to develop industry and business across the region. It will keep the talent in the region, which is especially important now as the brain drain is becoming bigger and bigger problem. Last year only 4% of young people said they want to go and live abroad. This year that number more than doubled to 9%1”, said Bregu adding that research and innovation driven economic model can offer better paid employment opportunities within the region, outside the traditional sectors to the citizens, youth in particular. The RCC, as regionally owned, all-inclusive organisation, intends to closer cooperate with the WB economies to increase cooperation in STEM (science, technology, engineering, and mathematics), looking for means to increase STEM enrolment, particularly those of women, as Western Balkans has 47% share of female researchers – significantly better than world’s average of 28%. This high-level forum organised for the first time, aimed at tackling new research and innovation narrative for the Western Balkans. The Forum was officially opened by the Montenegrin Minister of Science Sanja Damjanovic and President of Podgorica Club Filip Vujanovic, and gathered Ministers in charge of science, research and innovation from the WB, representatives of the European Union (EU), international institutions and numerous guests.